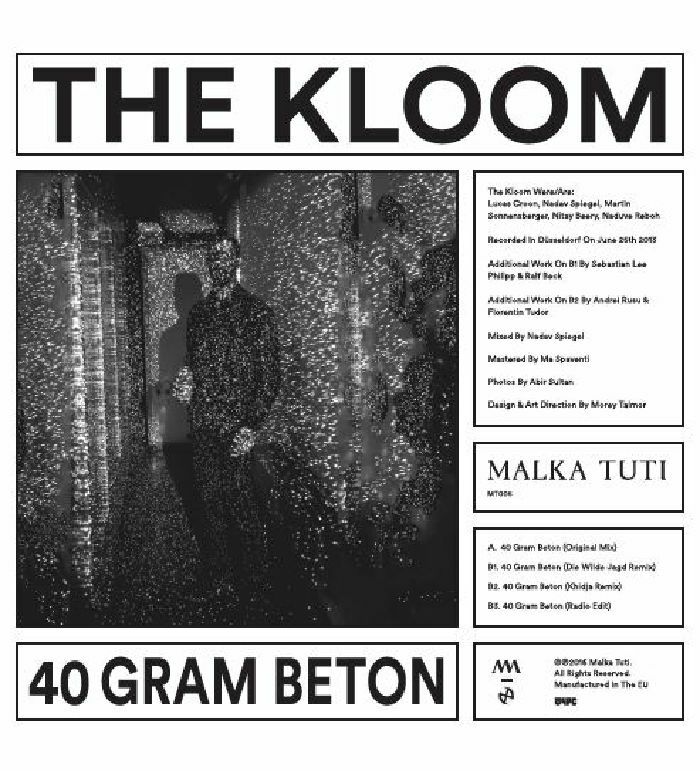 The KLOOM 40 Gram Beton (feat Die Wilde Jagd & Khidja mixes) vinyl at Juno Records. 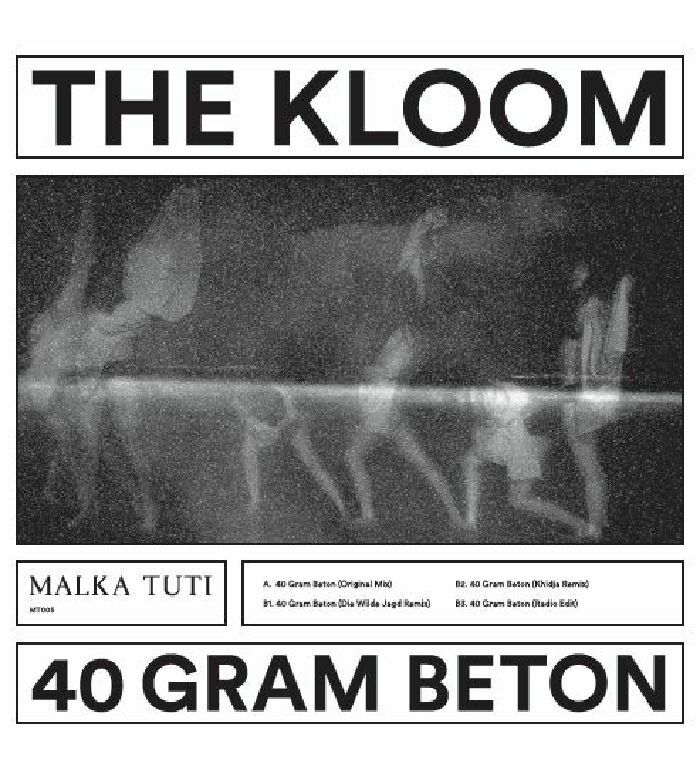 Helmed by Asaf Samuel and Katzele, Malka Tuti transmits cosmic boogie sounds from Tel Aviv that come from lesser-known sources. 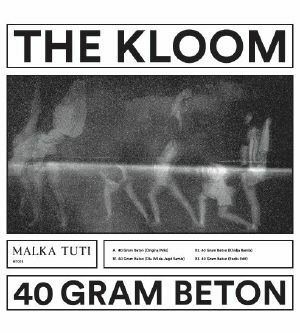 On their fifth release they turn to The Kloom, a loose-fit operation of unknowns making a debut appearance with the powerful strut of "40 Gram Beton". Mixing slow disco grooves with ranging synths and warm piano notes, it's an infectious track that provides a prime jump-off point for the cast of remixers that round out the release. Die Wilde Jagd adds a more mechanical coldwave pulse to the track while Khidja gets lost in a swirling trip of a version, with the label throwing in a radio edit as a bonus on the B2.